I love lists, surveys and summary-type thingies at the end of the year, so when I came across this survey by Jamie (The Perpetual Page-Turner), I immediately knew I wanted to fill it in! It’s a great way to look back on everything I’ve read this year, both now and in the years to come. This’ll be quite a long post, so let’s get to it right away! Wow. way to ease me into this survey! First of all, let’s not count rereads (so that leaves out two Harry Potters). Since I only read 30 books, I feel like I do have to choose only one book, but maaan, that’s difficult. I think I’m going to go with The Book Thief by Markus Zusak, though. That one left me completely broken. As did One Day by David Nicholls, which is a close second! Oh, and The New York Trilogy by Paul Auster blew me away as well! Damn, that’s still three books. Oh, well. Ooh, this one’s difficult… I tend to not get too excited about books unless I’m absolutely sure I will adore them. I just try not to have too many expectations. Where’d You Go, Bernadette by Maria Semple was different than I expected, though. I really liked it, but I’m not sure if I loved it. Cinnamon and Gunpowder by Eli Brown was surprisingly awful. I didn’t even review it on here, since I read it in Dutch. I just noticed it has a pretty high rating on Goodreads (3.91), but I really did not like it. The same goes for The Dog by Joseph O’Neill, which I despised (review still to come!). I apologise for the negativity, but these two books just really frustrated me! I don’t push that many people to read certain books, but I think this would be The Fault in Our Stars by John Green, which I forced both of my parents to read. My mother loved it, my father was a bit less enthusiastic, if I remember correctly, but didn’t dislike it. I finally read The Hunger Games trilogy by Suzanne Collins this year, so I’m going to cheat, and say that that’s the best series I started, Catching Fire was the best sequel I read and Mockingjay the best series ender. So much love for these books! Favourite new author you discovered in 2014? I read tons of books by new-to-me authors! I’m going with Markus Zusak because, holy cow, that man can write! His writing is absolutely beautiful. I also feel like giving The Rosie Project by Graeme Simsion some love, though, so let’s say it’s a tie between Zusak and Simsion. The Rosie Effect is very high on my to buy list, I can’t wait to read more about Don and Rosie! This is something I want to work on next year: read more books from different genres than my usual picks. For now, I think I’d have to go with The Hunger Games again, which was well out of my comfort zone — I don’t really read science fiction or dystopian novels. Mockingjay was my favourite from the series, I think, although it’s very hard to choose! In all honesty, I think I’d have to say The Hunger Games again, but that’s getting a bit boring, so I’m going to pick another one. I re-read Harry Potter and the Deathly Hallows last week and forgot to have lunch or take a shower on Monday because I desperately wanted to keep reading (even though it’s of course not the first time I read it). It left me completely shattered and blown away once again! That would be The New York Trilogy by Paul Auster. I’m thinking of writing my bachelor thesis on it next semester! Favourite cover of a book you read in 2014? Oooh, good question! I love good cover art, and I admit to definitely judging books by their covers. The cover of The Cuckoo’s Calling by Robert Galbraith is really stunning, I think. I wouldn’t mind having it in poster form! The first character that came to mind was Peeta Mellark (from The Hunger Games), so I guess I should go with that one. His unwavering goodness really impressed me, and then there was Mockingjay… Definitely memorable! 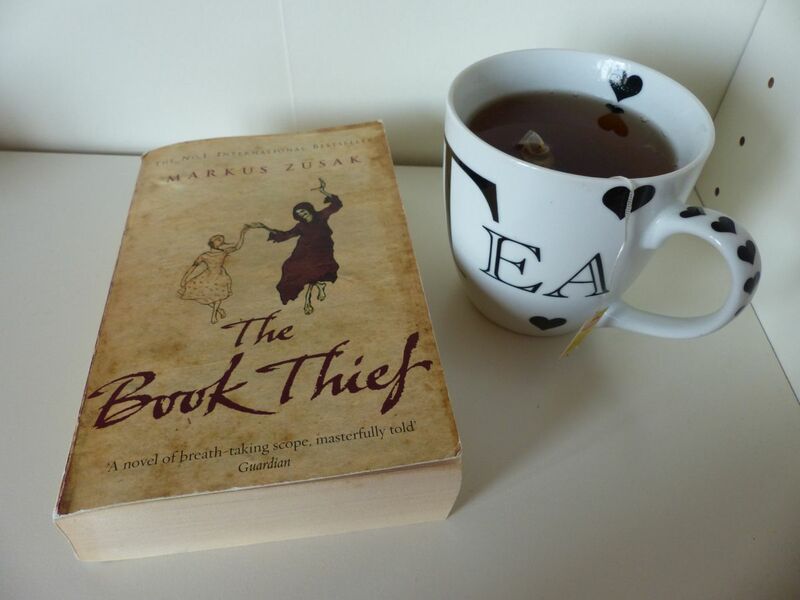 Well, this is starting to get boring, but there is no doubt about this one: The Book Thief by Markus Zusak. His sentences are simply brilliant. Very poetic, but not in a distracting way. My father recommended A Dry White Season by André Brink to me, which is about apartheid. It was the first book I read on apartheid, and it was really thought-provoking. I already knew a lot about this dreadful period in history, but reading a novel about it was informative on a whole new level. That would be The Hunger Games trilogy, again. I’m quite late to the party with those books. I’d been wanting to read One Day for ages as well when I finally read it this year. Favourite passage/quote from a book you read in 2014? Francois Rabelais. He was a poet. And his last words were “I go to seek a Great Perhaps.” That’s why I’m going. So I don’t have to wait until I die to start seeking a Great Perhaps. American Psycho by Bret Easton Ellis, without a doubt. I didn’t even finish it because it was so horrifying and frightening. I didn’t really have an OTP (one true pairing) that I’m really passionate about this year, but I think I’d have to go with Emma and Dexter from One Day. Those two! AAAH. Hmm, good one. I loved the relationship between Liesel and Hans Hubermann in The Book Thief. Another one that comes to mind is the relationship between Katniss and Finnick in Mockingjay. Favourite book you read in 2014 from an author you’ve read previously? 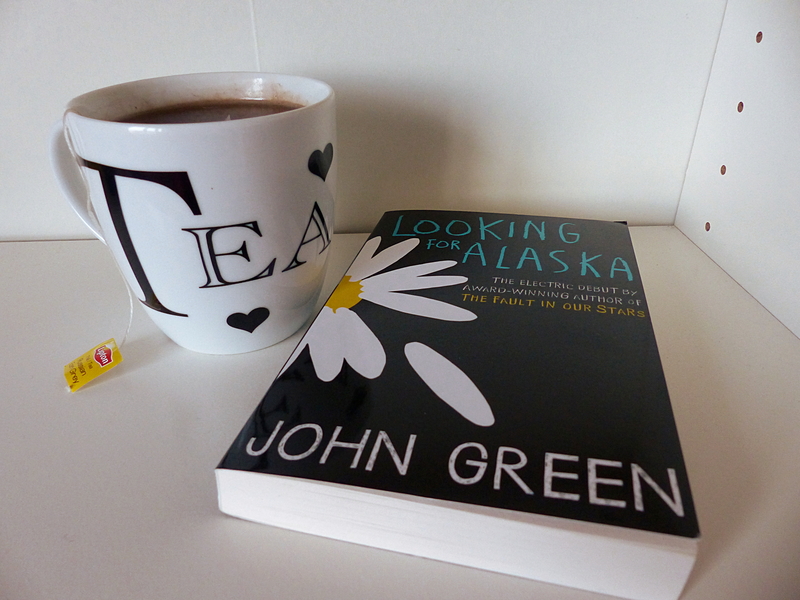 I loved Looking for Alaska by John Green, after reading and adoring The Fault in Our Stars last year. Well, I didn’t read it based solely on his recommendation, but my father practically bullied me into reading The Book Thief. I would’ve read it either way, but I think my father definitely helped along the process! I always develop crushes on the male leads in Jill Mansell novels, and Zack McLaren from To The Moon and Back was no exception! I’m pretty sure I’ve got a thing for Gale (from The Hunger Games) as well, though. 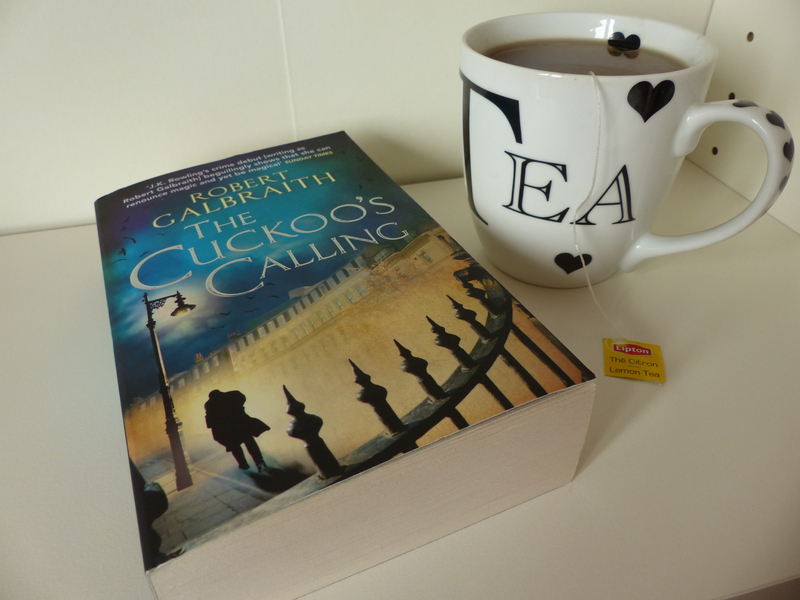 Robert Galbraith’s description of London in The Cuckoo’s Calling was amazing. Might have something to do with my love for London, though. On the other hand, we all know J.K. Rowling’s worldbuilding is amazing. Joanne Harris’ settings are always breathtaking as well, so I feel I should mention her Peaches for Monsieur le Curé as well, in which Vianne returns to the French village of Lansquenet. 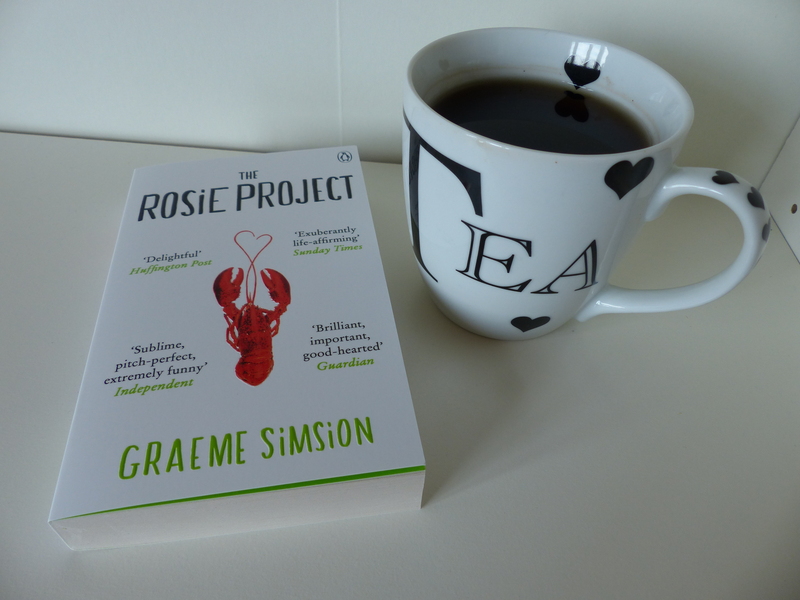 Definitely The Rosie Project by Graeme Simsion! Although there are some heartbreaking scenes as well, I remember this book as being exceptionally fun. I don’t cry when I read, so I surprised myself when I choked up a little while reading Mockingjay. Pretty sure there were still no tears, but I seem to remember a dry sob. This is a difficult one, since I only read two 2014 novels (and liked neither of them), and read mostly well-known books besides those two as well. I quite enjoyed Patrick Ness’ The Crane Wife, but to call it a hidden gem would go a bit far, I think. Where’d you go, Bernadette by Maria Semple consisted for a large part of letters, emails and notes, which was quite unique and a fun reading experience. Especially when it all comes together at the end. 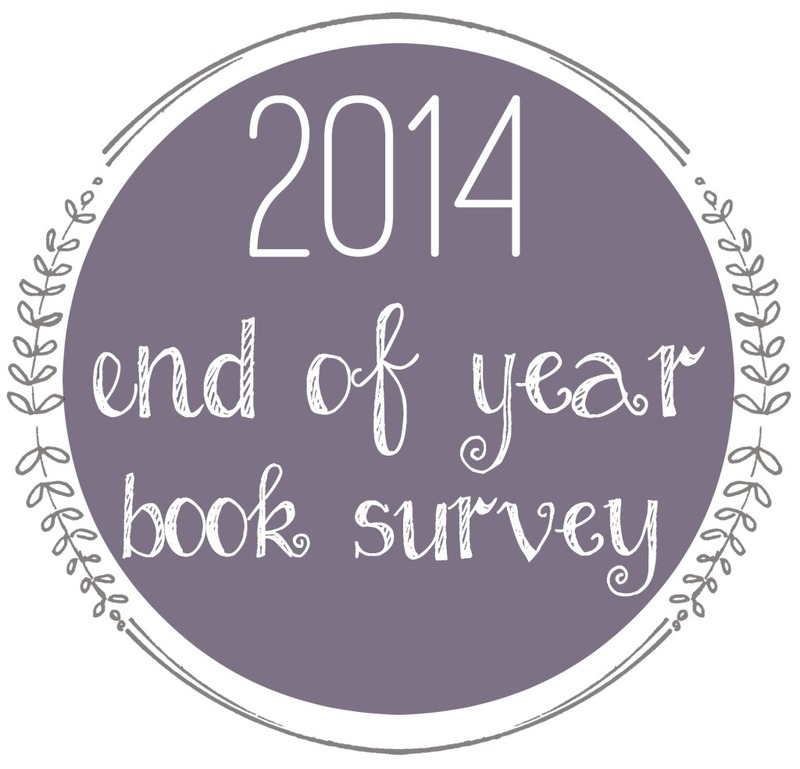 New favourite book blog you discovered in 2014? 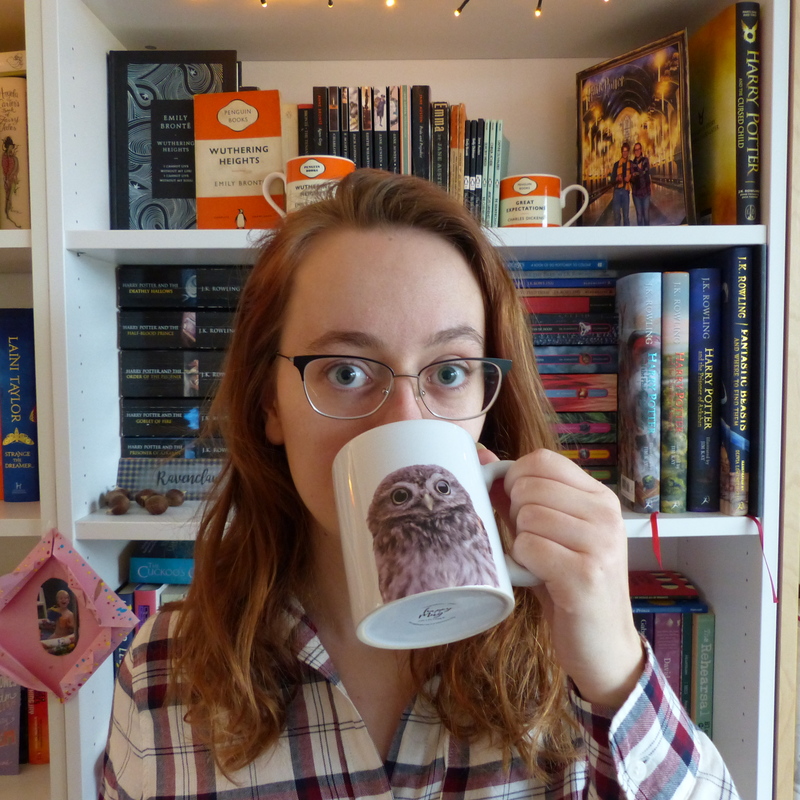 I discovered lots of new book blogs in 2014! Recently, I came across Cait’s blog, Paper Fury, and I’m LOVING every post she writes — she’s hilarious! I really enjoy reading Jamie’s blog, The Perpetual Page-Turner as well. She has a really passionate writing style which always gets me enthusiastic as well! Favourite review that you wrote in 2014? Ooh, this is a hard one. I was really happy with how my review of The Book Thief turned out, because I spent a long time writing it, wanting to get it just right. Another thing I want to work on next year: more discussion posts! This year, I really enjoyed writing my I Won’t Apologise post, which got some great feedback as well. I think you should never have to apologise for certain reading choices, and it was nice to see many people agreed! The post I’m most proud of, however, is my post on mentall illness, which I wrote after Robin Williams passed away. The Secret Santa event at The Broke and the Bookish! It was so much fun to put together a nice box of Christmas gifts for someone I didn’t know. And I got so excited when my own gifts arrived all the way from Slovenia! Fun, fun, fun! Only one moment?! I got approved for my first NetGalley ARC last week, so that was fun. But I think what made this blogging year so great was all the comments from you guys! It was so lovely to interact with all of you, which is what blogging is all about, after all! I’m really looking forward to chatting with (even more of) you next year. By far the most popular post by views was my post on seeing the Eagles in concert, which got picked up on my a couple of Eagles fan pages. That was quite funny to me, because I wrote that one more as a sort of diary entry. What meant a lot more to me was the fact that the previously mentioned post on mental illness got a lot of views, and also a couple of comments. I especially got a lot of feedback on it from my friends and family. Hmm, I can’t really think of a post to fit this category, really. I think in general, I’d love for my book reviews to get a bit more love, some more comments perhaps. Something to hope for in the new year! I discovered the Book Depository this year and am quite happy with that discovery, even though I haven’t ordered anything yet. Those prices! I’m planning on picking out a couple of books tomorrow to spend my birthday money on! Oh, there are so many books that I feel should be my number 1 priority! I’m going for The Silkworm by Robert Galbraith, though. I’ve been wanting to read that one ever since I finished The Cuckoo’s Calling, but I haven’t got a copy yet. Book you are most anticipating for 2015 (non-debut)? 2015 debut you are most anticipating? Series Ending/Sequel you are most anticipating in 2015? I’m not really anticipating any books, to be honest… All of the books I’m dying to read are already out, I just haven’t gotten to them yet! I haven’t really thought about any blogging goals yet, but I know I want to read more next year! I want to read at least 50 books in 2015, which is 20 more than I read this year. Should be doable, I’d say! As for blogging… Oh right, I’d like to write more discussion posts! I’d also like to interact more with fellow bloggers, and of course a few more followers would be nice to! I’ve also been contemplating thinking of my own original feature, but that’s harder said than done! I absolutely loved the Book Thief also, so many feels!! The bookdepository is also one of my favourite places to get books. I just wished we had a bookoutlet like America!! Yes, The Book Thief is absolutely amazing! I ordered 6 books yesterday, and can’t wait for them to arrive 🙂 Throne of Glass is already on its way! AND YES YES YES TO TFIOS AND THE BOOK THIEF. Heartbreakers. Absolutely cruel books. My friend threw it at me until I read it and whyyyy. Why do I need that pain in my life?1! XD just kidding. I totally needed that pain. If I owned TBT I would reread it RIGHT NOW. Amazing writing. I feel like I need to read everything by Markus Zusak now! Yay, hugs and cake! 😀 It’s true, though, your blog is awesome! I’m so glad I found it. I just realised I haven’t even looked up any of Markus Zusak’s other work! I NEED TO READ IT ALL!